Welcome to the fourth post in the Summer Branding Series! 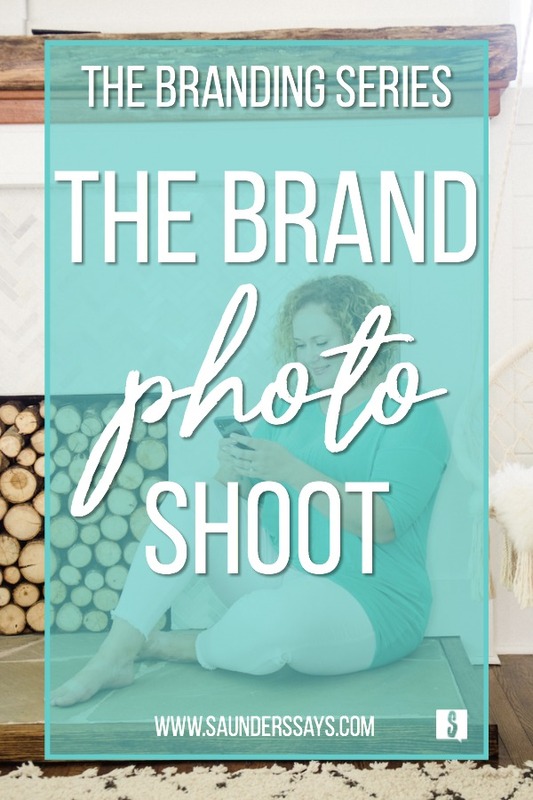 This week, I’m sharing all about the brand photo shoot process and why you should do one. You can find the previous posts here: Part 1: Why Do I Need A Personal Brand, Part 2: Creating An Authentic Brand, & Part 3: How To Know It’s Time To Change Branding! Enjoy! You know that your brand is more than a logo and colors, but how can you take it to a deeper level? Quick answer: a brand photo shoot! I recently had a brand photo shoot for Saunders Says to make my overall look more cohesive with my brand. A brand photo shoot is basically a styled photo shoot for your business. Once you decide you want to do a brand photo shoot, you’ll want to find a photographer that gets you and your brand first. When researching photographers you’ll want to ensure you find someone who is fun and can bring your personality to life. I suggest snooping on their instagram accounts and their websites to make sure their style matches your brand photo shoot goals. For example, if you know you want an editorial look, don’t try to work with a photographer that has a school yearbook feel. Besides the aforementioned, make sure your photographer is someone you want to work with! If you don’t like the person, you’re not going to enjoy spending a day with them and that will show in the final photos. I’ll admit I’m lucky enough to have an amazing friend who is an award-winning photographer, Lucy Parker Randall. She is everything I wanted in a photographer: fashionable, trendy, an editorial look. With a modeling background, Lucy is an excellent coach for posing better and knows how to make you feel comfortable in front of the camera. After securing my photographer, it was time to find the perfect location. 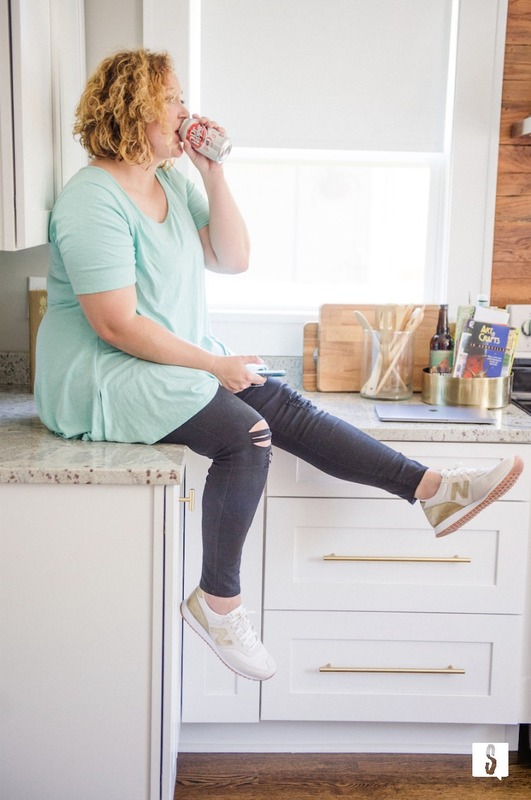 Jessica Stansberry had shared on her podcast, All Up In Your Lady Business with Jaclyn Mellone, about a brand shoot she did recently. 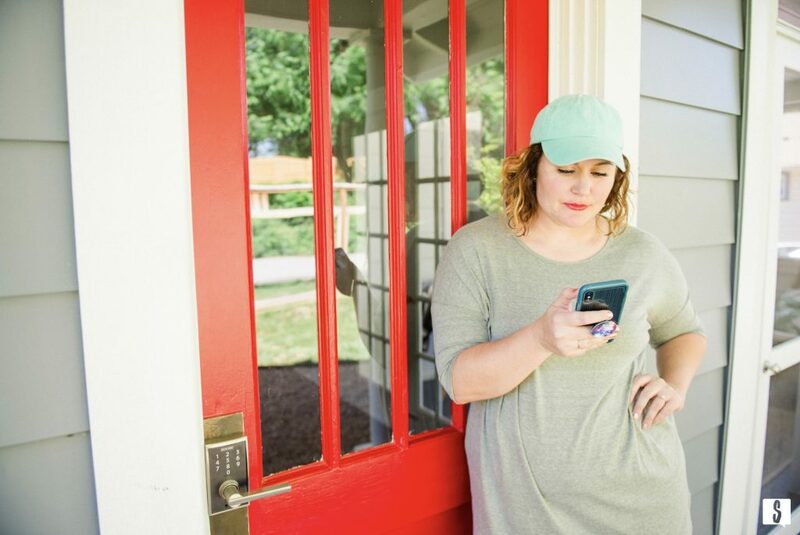 So being the fangirl I am, I stalked her instagram account and found that she did her brand photo shoot at an AirBnB in Asheville, NC. I kept ooo-ing and ahhh-ing over her photos and knew that location was perfect for me as well. However, I did TRY to find something in Charlotte because I really didn’t want to be a copycat. I scoured the AirBnB app and google to see if I could find something super bright at an affordable cost near me. Once I realized that nothing was available in my area within my budget, I thought I would just reach out to The Graham House in Asheville, the AirBnB where Jessica had her shoot. Thankfully, I did because Gabby was a wonderful hostess and easily accommodated the time we needed for the brand photo shoot. I also knew that my images, my style, and Lucy’s photography style would give a very different feel than Jessica’s photo shoot. The Graham House is a super gorgeous mid-century modern AirBnB in West Asheville. Check out The Graham House on Instagram and on AirBnB now! Leading up to the brand photo shoot, I started researching creative headshots and brand shoots on my favorite search engine, Pinterest. I made a secret board to collect ideas for the shoot. Creative headshots, styled photo shoots, personal branding photography, and stock photography ideas were all curated and saved to this board. I also started using the save feature on Instagram to create a little hub of all the inspiring photos I found. I highly recommend collecting images so that you can share these with your photographer in advance. This helps them understand the look and feel you want to go for as well as shots you really want. If you want to be really extra (and prepared) you can make a shot list, similar to what brides use for their weddings. The day of the shoot, Lucy and I decided we wanted to go up a bit early so we could enjoy lunch and swing by the shoe warehouse! We had a blast trying on shoes, eating at Biscuit Head, and discussing life! Lucy really is one of the sweetest human beings I know. And I’m not saying that lightly. 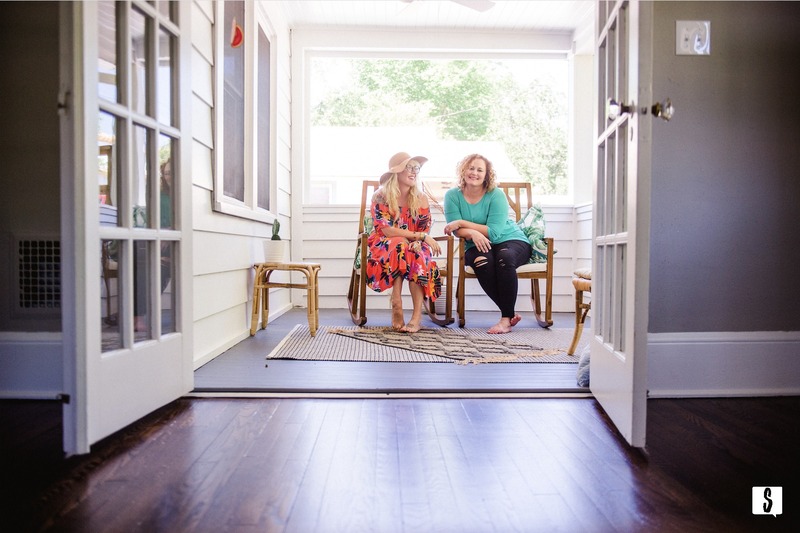 By the time The Graham House was ready for us, Lucy and I were already laughing, crying, and sharing stories. As an introvert, it really is important for me to be as comfortable as possible prior to having a photo shoot so I don’t bring my normal RBF to the scene. Ha! We headed over to The Graham House and basically fell in love at first sight. Yall, this house is even more gorgeous in person. I kid you not! So we both got super excited and kind of hyper and ran around planning what we were going to do where and what outfits to wear. If I could have done anything better for my brand photo shoot, it would have been to preplan my outfits a bit better. Although, my photographer and personal stylist had my back and gave me really good instruction. Ha! I also think my creative eye gave me some good insight on what to bring and what I knew would work well overall for the shoot. If you’re planning to do you’re own brand photo shoot, you cannot pack or have too many things! I believe I had 9 pairs of shoes. You just never know, yall! In addition to clothing and shoes, you’re going to want a bag of props. Think about the things you use on the daily: laptop, planner, pens, coffee mugs, etc. I even picked up some word balloons and a tassel banner from Target. Again, you cannot have too much! Honestly, you’d rather have more than enough so you don’t regret NOT bring or NOT having something with you. And then it was time to get to work. We started with one outfit in the main living room. From there we just moved room to room and from outfit to outfit. I don’t know how many times I ended up changing or how many times we were in the same rooms. I just knew I was going to listen to Lucy, have fun, and smile. It’s really hard for me to remember to smile, so I had to keep pretending that my husband was doing something funny. Between one of the outfit changes, we had a little blooper with a balloon. This led us both to laugh the entire afternoon. I feel like you can see a difference in the images before the balloon incident and after. Side note: we are STILL laughing and joking about this balloon blooper. Once Lucy said we had everything we needed, we headed back down the mountain. I knew it was going to be a long wait to get these images back even though Lucy told me it would just be a few weeks. Patience is not a virtue I have, especially when I’m excited about something. I was so excited to see the final edits because Lucy shared a few sneaks from behind the camera with me. Can I just tell yall, it was worth the wait. I died when I got these back. 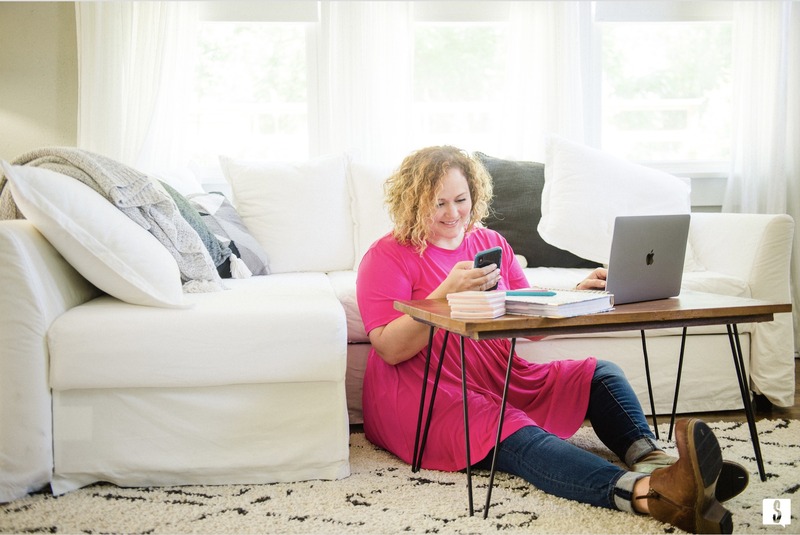 Lucy captured everything I ever wanted to show about my business and me in this brand photo shoot. I felt pretty, strong, fabulous, fun, and colorful! Just the way I want people to feel about my brand. 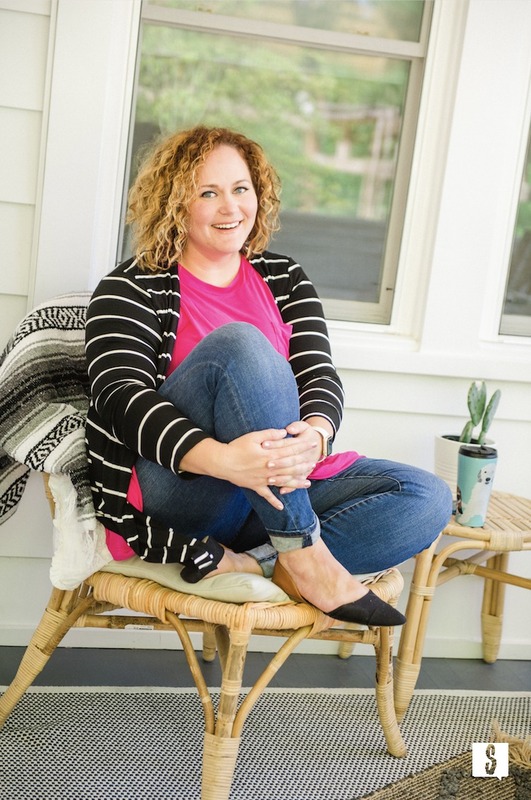 Since using my brand photo shoot images in my marketing and on social media, I’ve noticed a difference. New clients are coming in, returning clients are booking more services, and even those who will never use my services have started interacting on social media or sending me messages about how much they love my photos. This goes to show just how important it is to have a brand photo shoot. Even if you can just do a few headshots and a few behind the scene images, I highly recommend it. Take the time and the money to invest in a brand photo shoot you love! If you’re in need of a brand strategy session or a branding package, let’s chat! Check my Work With Me page and let’s hop on a discovery call this week! If you want to see more, you’ll have to find me on Instagram and Facebook! Your photos came out great! I love that you were able to do this. I haven’t had the chance to have any kind of professional photos for my blog, and I think it would add a lot of value to my blog. 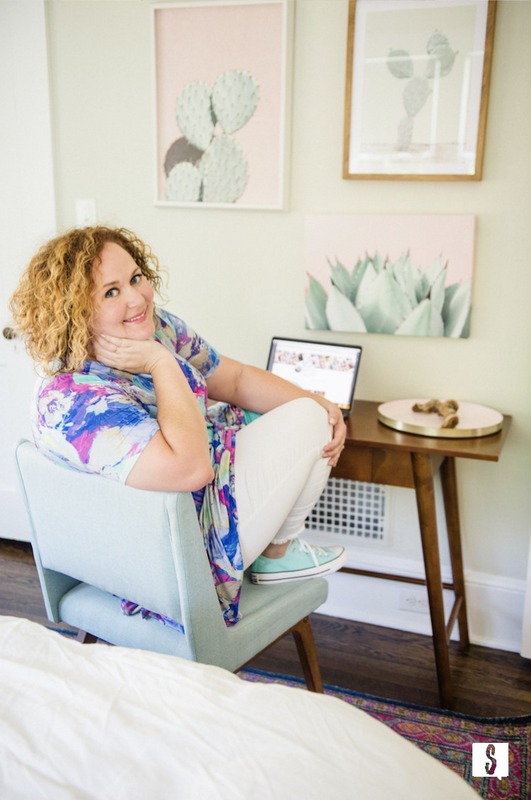 It is so important as a business owner that you have photos of yourself that represent who you are and the work you do. I love at home branding shoots. Great insight and your photos turned out great! Great advice! I love the idea of scouting Airbnb to find a location suitable for a desired style shoot. Your photos look great. The Airbnb idea is a great idea that I use all the time. Great for those that want to build their brand but aren’t quite comfortable letting their audience into their home.